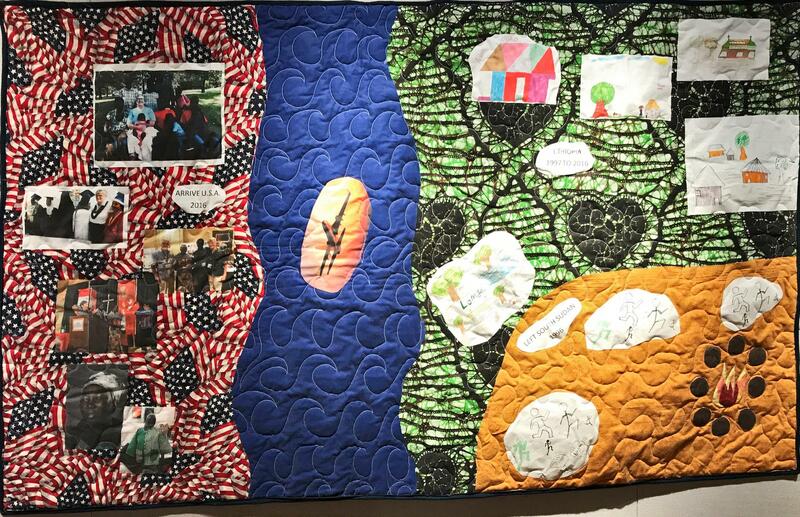 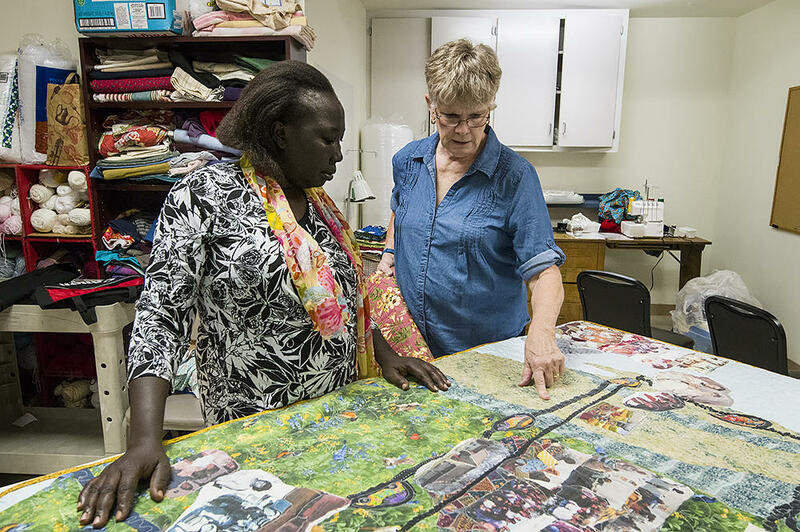 Ann Say (right) with Tasillia, a refugee from South Sudan, who is working on a quilt in a sewing class Say conducts at Kansas City's Della Lamb Community Services. 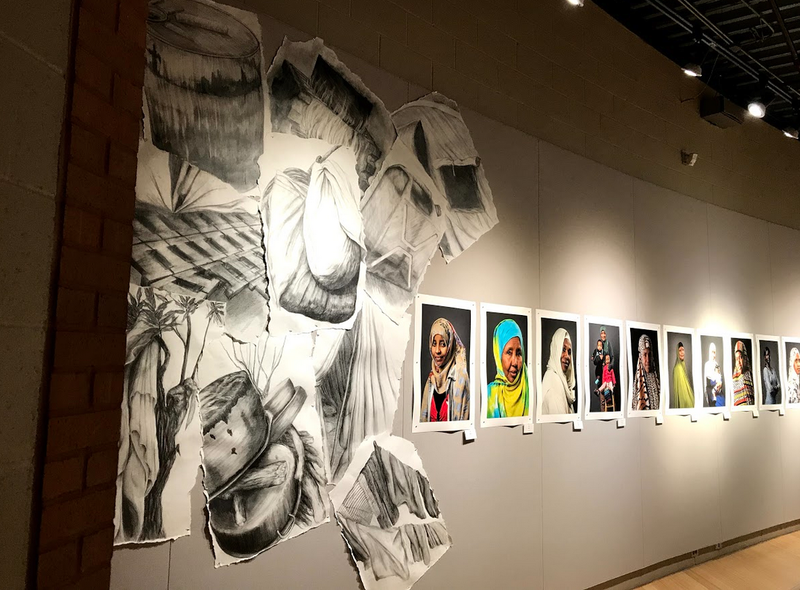 Photographs by Julie Denesha are flanked by artwork by Sandra Van Tuyl in '1,000 Footsteps Tell The Story' at the Carter Art Center. 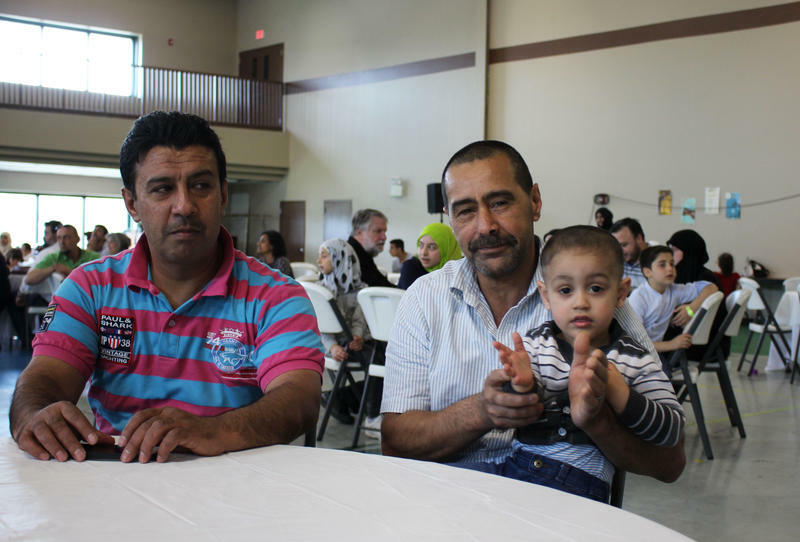 Maita thinks he was seven years old when he and his family were forced out of their home in Bhutan. Starting in the late 1980s, the Himalayan country began driving out people who were ethnically Nepali. 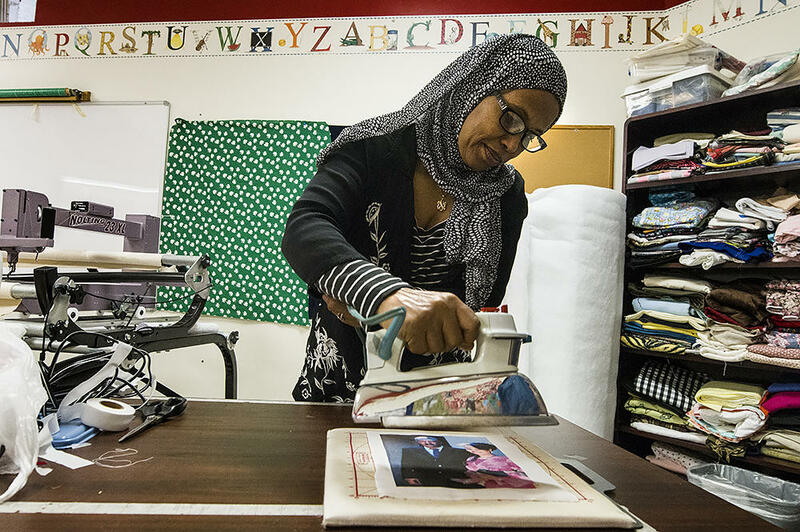 They fled across the mountains to Nepal, where they were settled in impoverished refugee camps.